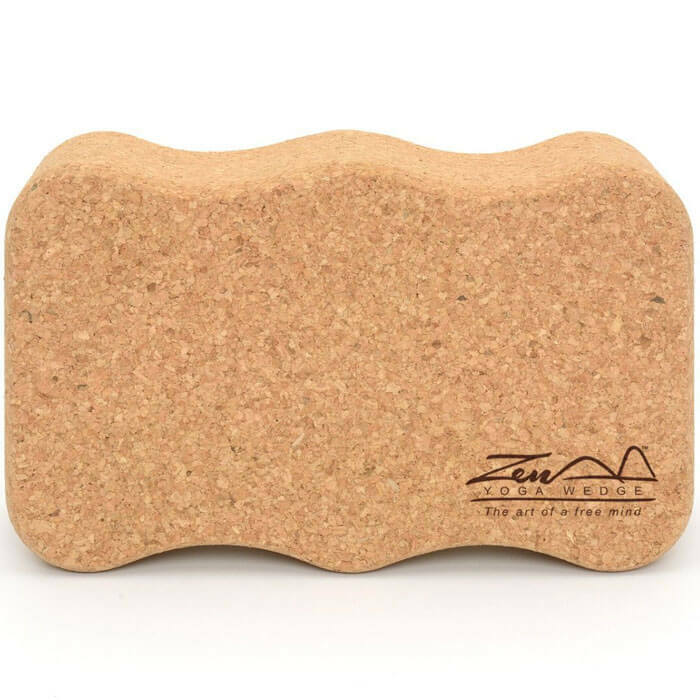 The Zen Yoga Wedge Cork Block compared to the 'Standard' has more of a curved shape and features two concaves on two sides for more comfortable support of arms and legs. Physically demanding poses seen in yoga can be daunting to a novice.Thankfully, our yoga block is a great little helper in assisting many yoga positions. It helps the user to gain extra support to their hips, neck, arms and back to help improve balance, strength and posture. The yoga block is stable on each of its sides, so can be placed at different height positions to accommodate for more or less support. A simple way to reduce the distance between the user and the floor.